There are several thorough and thoughtful discussions of this work on the internet, noably in the entries from the Tate Gallery and Wikipedia. Like the Bruegel Procession to the Calvary, Derby Day presents us, not with a single significant instant, but a scene of many individual moments of loss and longing, fun and folly. 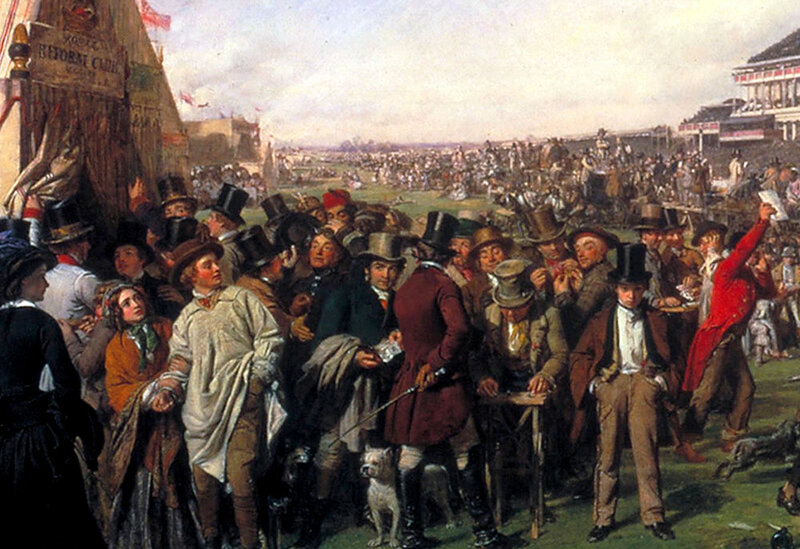 Derby Day is one of the first instances of a painter showing a gathering from many social classes in one of the few venues where such mixing could take place. The "thimble-rigger" (shell game manipulator) cleans out suckers with his deft hand movements. The young man on the left is tempted to try his luck (he is reaching into his pocket for money) while his lady friend urges him not to gamble. The acrobat puts on a show for the uppper class patrons. 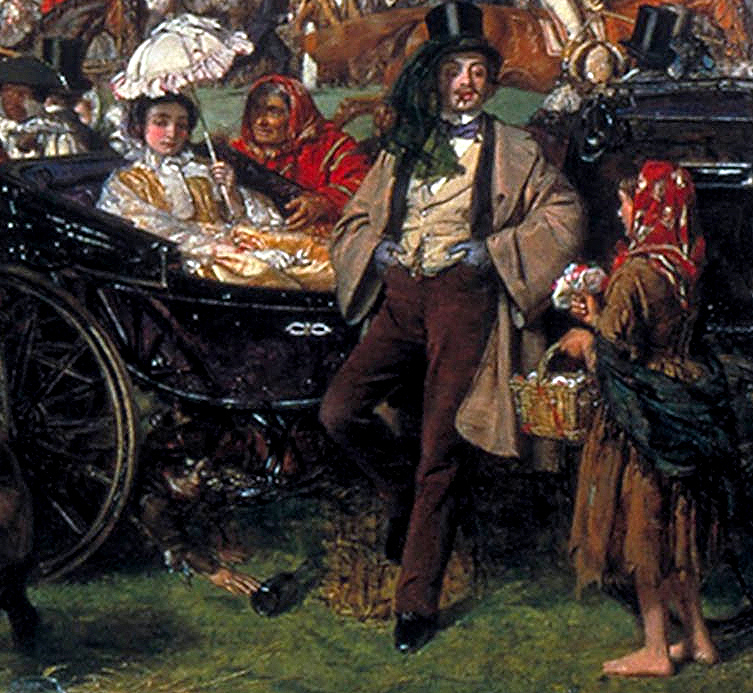 But the young performer is distracted by the sumptuous picnic laid out on the grass.